All Timelines in Roadmunk start out with just the time pivot represented by the horizontal timeline along the top. 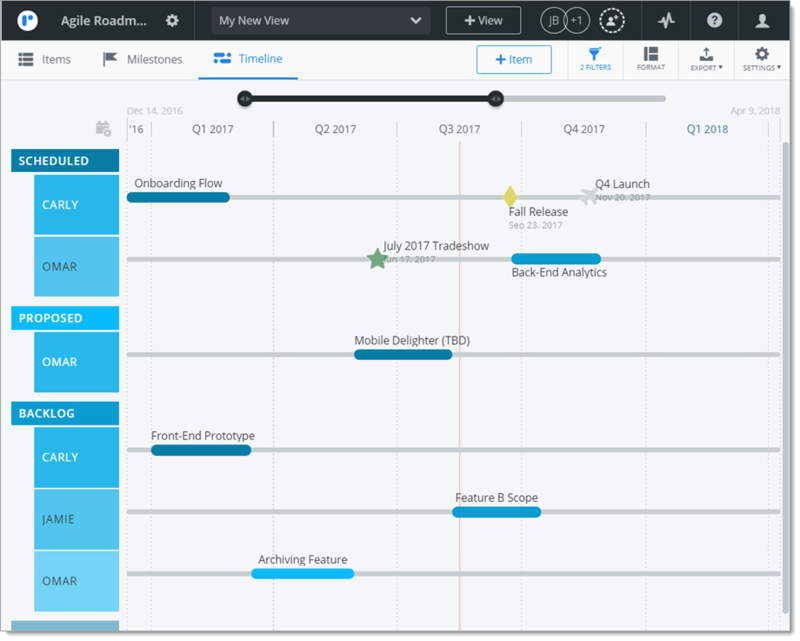 You can further pivot data on a Timeline by adding headers to group items vertically on any field in the roadmap. 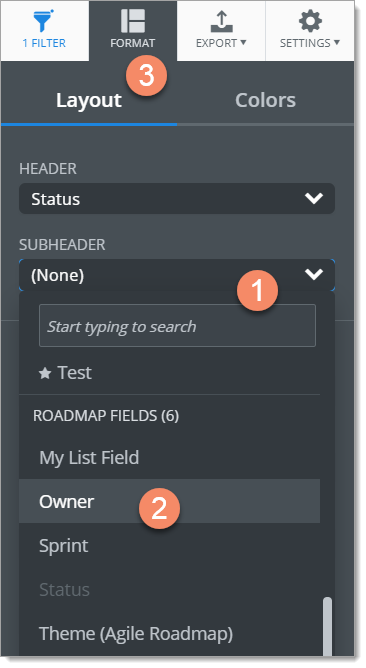 You can add a header and, optionally, a subheader to further group items by a second field. In addition to adding pivot headers to a Timeline, you can customize the Timeline's data pivot and format the Timeline's layout and colors. 2. In the Layout tab, click the Header dropdown. 3. In the dropdown, select the field you want to use for the Timeline's primary grouping or pivot (for example, Status). 1. Still in the Layout tab, click the Subheader dropdown. 2. In the dropdown, select the field you want to use for the Timeline's secondary grouping or pivot (for example, Owner). Here's a snapshot of what the Timeline might look like after you add headers.